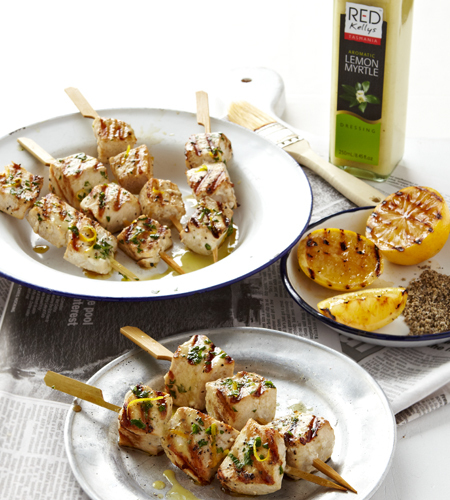 Cut Swordfish steaks into 3cm cubes and skewer onto skewers. Marinade with generous amount of Red Kellys Lemon Myrtle and refrigerate for 30 minutes if time permits. Preheat Barbecue plate on medium heat. Lightly spray hotplate with oil and place skewers on top to cook for 7 to 8 minutes. Turn occasionally until pink disappears. At the same time, place lemon halves on the hot plate until browned. 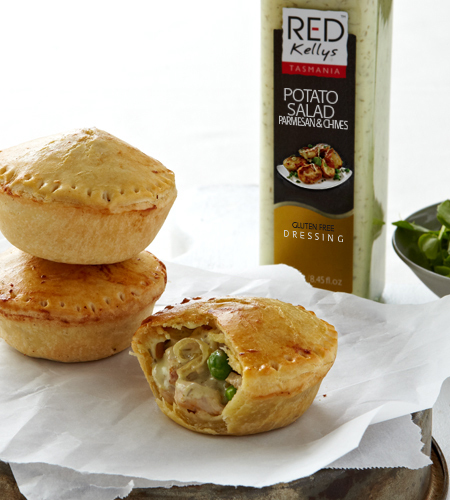 Take of the heat and serve immediately with lemons and drizzle some extra Red Kellys Lemon Myrtle dressing.